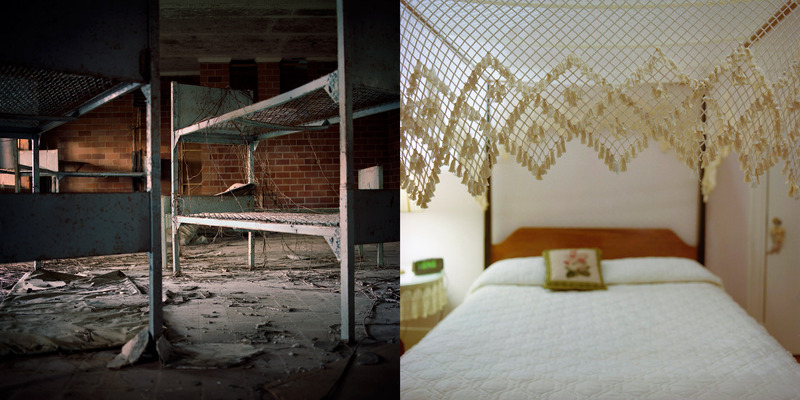 Left: Rusting spring bunks inside of an abandoned dormitory at the Arthur G. Dozier School for Boys. Right: Marianna, Fla., is a quiet, Southern town whose residents largely dislike talking about the past abuses at the Florida School for Boys. In a bed and breakfast owned by a man who writes pro-Dozier School editorials for the local newspaper, the decor is decidedly Victorian.